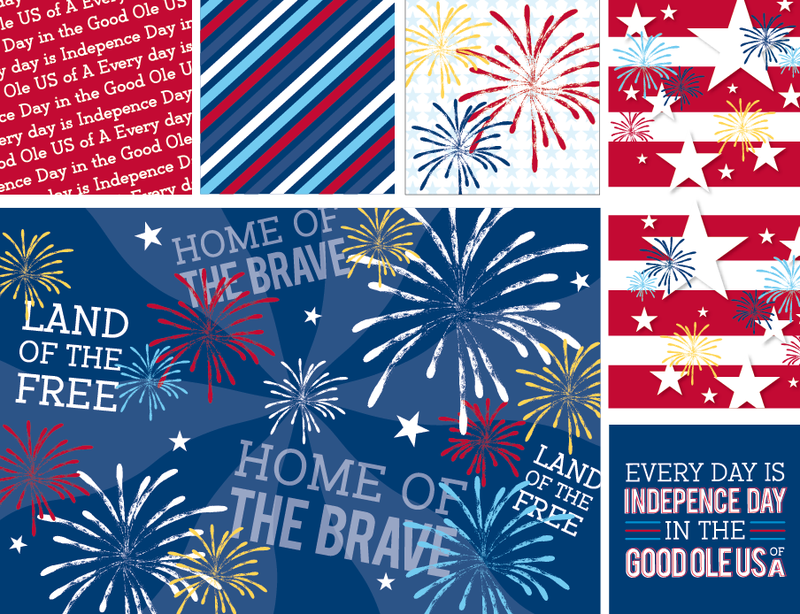 We have a new collection on Frecklebox just in time for July 4th or anytime you want to be patriotic. It is based on our fireworks design collection. We’ve also used it on paper partyware. 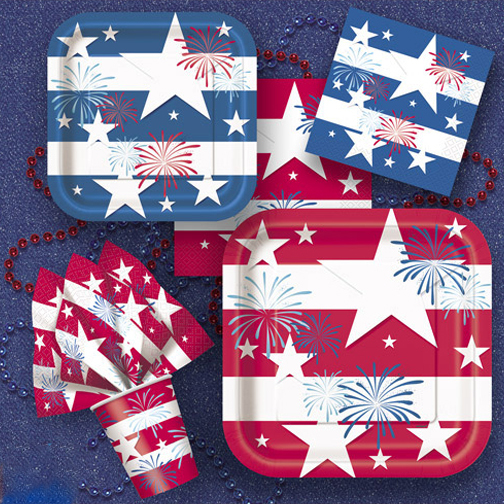 Who doesn’t love a red, white and blue party theme! 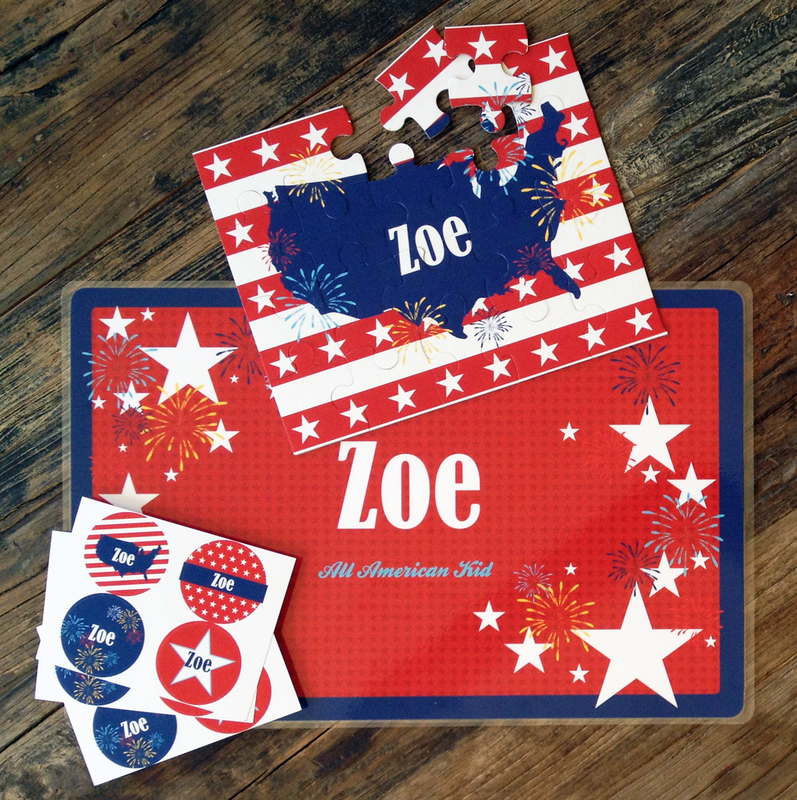 Besides the partyware which is sold in stores, Frecklebox.com is selling a placemat, stickers and puzzle. You can also get a free personalized coloring page which will be live in the next week or so. Print a bunch for all the kids at your BBQ to keep them busy.